Order Prints from your Phone and Pick them Up Today! Order Now, Pick up your Pictures Today! Photo Prints Ready in about 1 Hour! You can quickly place an order no matter where you are, and pick it up while you are out running your errands, saving you a trip. Once you place your order, our system works fast to deliver your images to your chosen CVS, Walmart, Target, Walgreens or Duane Reade store. Most orders are ready in about 1 Hour! Take some pictures and place an order. That’s it! Same Day Prints allows you to easily select photos from your phone for printing. No cables, and no extra trips to the store. Need a last minute gift? Order prints for your scrapbook or create an 8×10 print and get a frame when you pick up your order. Everyone loves a framed print! No trip to the store needed, and no need to deal with cables and a computer. Order from yoru phone any time you want and pick up your prints next time you are out and about. Send Grandma new photos and save on postage! No matter where grandma and grandpa are, You can place an order at their local CVS, Walmart, Target, Walgreens or Duane Reade and they can pick up new photos when out doing their shopping. Once you place your order, our app starts working right away to send your photos to the Printer of your choosing. Most orders are printed within the hour. Order popular print sizes from the Same Day Prints app. Order 4×6 prints, create 5×7 prints and enlarge your favorite photos to 8×10. 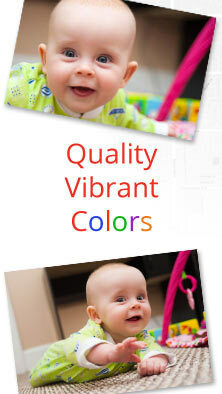 Photos have vibrant colors, printed on durable Kodak Quality glossy photographic paper. Where can I pick up my photos? 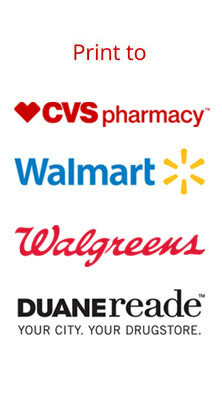 Anywhere you can find a local CVS, Walmart, Target, Walgreens or Duane Reade Photo retailer. When placing your order, our app uses your address, or GPS to locate a retailer near you, so you can pick the most convenient store for your needs. Want to know how to print pictures from cell phone at Walmart or CVS? Our Same Day Prints app makes mobile photo printing easy and fun. Just download our free to get started and have your prints in hand by the end of the day! With our new Same Day Photo Prints App, you can now print your memories with just a few taps of your finger. Trying to find out where to print iPhone photos or order Android photo prints? Free your photos from your phone and preserve your memories on real photographic paper! You can pick your photographic prints up in the same day at one over 20,000 CVS, Walmart, Target, Walmart, Walgreens & Duane Reade Store locations. Most orders are ready in about 1 hour. 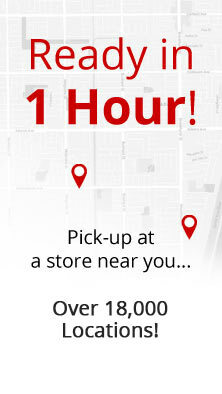 With same day store pickup, not only will you have your photos quickly but you won’t have to pay for shipping! Getting your favorite memories printed as rich, beautiful photos to fit your schedule has never been easier! Sizes available – 4×6 prints 5×7 prints and 8×10 enlargements. Convenient and easy Best way to get the pictures off my phone! Convenient and easy to do from anywhere. My daughter constantly needs a photo for school and/or Theatre. This app makes it a no stress process! Super fast way to print photos I’m in and out of CVS all the time. It’s so easy to print photos there now. Can’t beat $0.33 for a print. Easy to use! I love to take pics with my phone but hate having to download them to my computer! This makes it so much easier to create actual prints from my memories! Works great! Fast and simple photo printing. Local CVS pickup prints Super quick & easy way to get my photos printed at CVS. Love it! Photo prints look fantastic. High quality photo printing.